Create a calm and quiet environment for your baby and protect him from loud noises and electronic sounds. Minimize the sound of television and background noise to create a peaceful environment. Make the human voice the sound he hears most often. 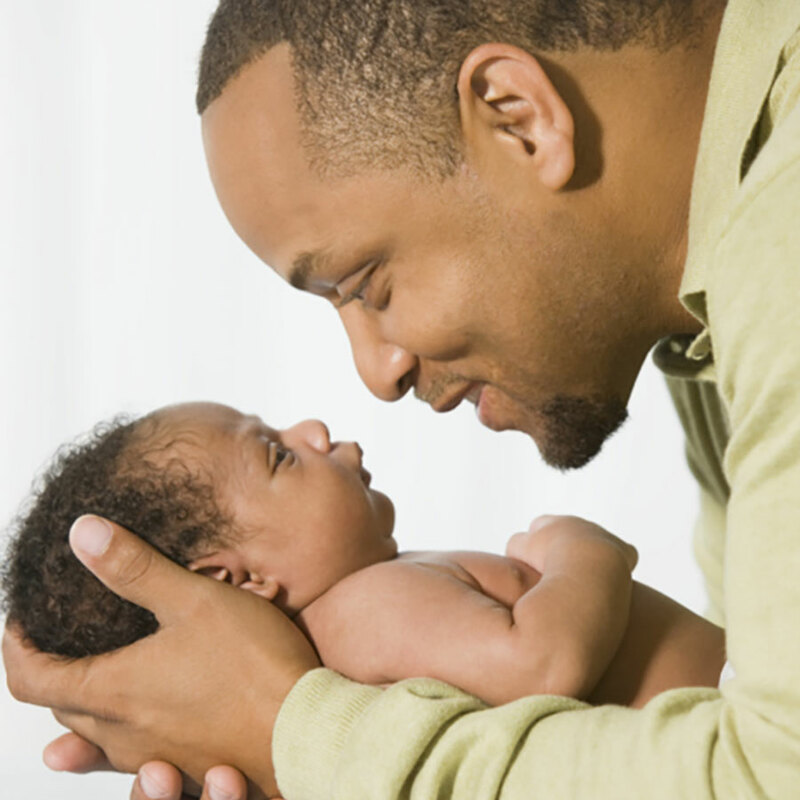 Have conversations with your baby. When your child makes sounds, respond as if he were speaking. His sounds will turn into babbling, his first efforts at communicating. Talk to him throughout the day and encourage caretakers and visitors to do the same. Read stories and poetry, and sing. Children have larger vocabularies and develop into better readers when they are frequently read to. Read from the beginning of their lives. They love to hear the same book over and over. Look for reality-based books with simple drawings of everyday objects, actions, and events. Sing your favourite songs. Speak clearly and directly. Explain the moment-to-moment routines he is experiencing. As important as it is to talk and read to him, it is also important to notice his efforts to vocalize and to acknowledge them with a touch or a smile, or to repeat what you heard. Do not use 'baby talk' or make up a special language of 'wittle bitty wordies'. Your baby will be confused by childish nonsense words. He needs to hear the correct words used by adults in conversation. When you speak to your baby, be clear and logical. He is learning many words. He associates objects with words and therefore must hear the name of the object that he is looking at or grabbing. Respond to his attempts to communicate. Your response helps him move from gestures to words more quickly. He sees that his efforts achieve results. When you listen to your child and respond, you are saying, "Your words are important." You are building a relationship that makes him want to talk. Use correct vocabulary, not only general words but also particular words, like 'garlic press' and 'shower curtain'. Name items related to all the rooms of the house: kitchen words, bathroom words, bedroom words, etc. Don't repeat mispronunciations or make them the family joke. If your child says 'pasgetti', respond with the correct word: "We're having spaghetti for dinner." By repeating the phrase with the correct word or by continuing the communication, you help him to gradually absorb the correct word and usage. Take turns telling stories. Tell stories from life, not only from books. Your child will love the detail in a simple bedtime story that recounts the events of the day. "You woke up, got dressed with your green pants and dinosaur shirt, brushed your teeth, and...."
Take time to listen. Have the patience to listen, even if you don't understand what he is saying. Do not interrupt or suggest words, but allow time for him to finish. Your interest encourages him to continue to communicate.